With Samsung’s recent reveal and Huawei’s announced upcoming tech, foldable phones are nearing the public market. 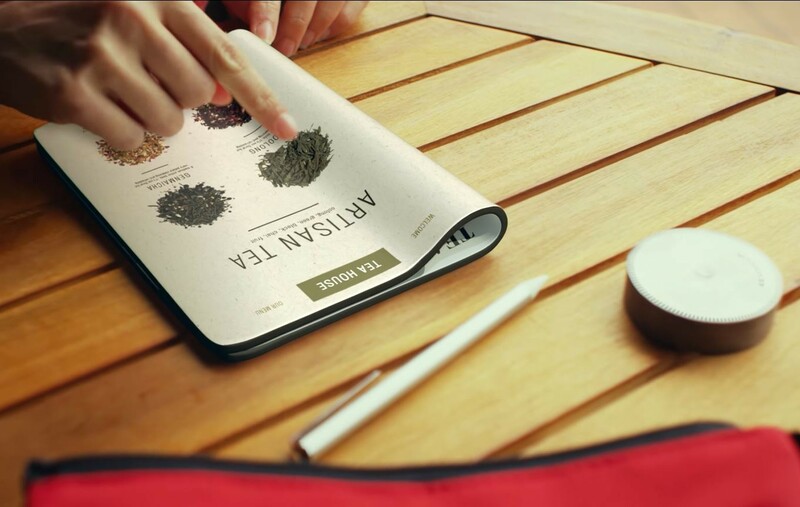 The capability to have a tablet-sized screen fold up to be pocket-sized seems like it will be the next big thing for smart phone technology. However, this new advent raises plenty of concern as well. What will the user experience be like on these devices? What will Samsung, Huawei, and other companies need to do in order to make their new, foldable product a UX success? Perhaps most critically, who needs this new device? When it comes to new technology, the user experience matters. Putting the user’s needs and desires first is the only way to truly achieve success. Foldable phones may prove to be the next big thing, but they may also prove to be a UX disaster. Here are 7 things that should be considered before making this technology public. Since the big draw with these devices is to be able to carry a larger device in smaller spaces, thickness of the device when folded is going to be critical. Thickness will influence usability when folded, and directly correlate to how well it actually fits in pockets. If the device is not as usable and portable as a smartphone, it will fail to meet user expectations because it will have fallen short of the primary reason for buying the device in the first place. How often will the average user interact with the device in ‘phone’ mode compared to ‘tablet’ mode? While tablet mode will have its advantages, it seems likely that phone mode will be frequently used. If this is the case, the experience of the phone mode should be good enough to support true phone use. It should feel like using a regular smartphone. It’s critical to understand how users will be interacting with each mode, and ensure that all modes provide a good experience. Fingerprints are a concern for any smartphone, but this is doubly true in a foldable device. The phone mode screen will likely be where you place your hand when using tablet mode. Should this screen be easy to muck up, it would deter from the experience of phone mode use after tablet mode use and add to the frustration of constantly having to wipe down your screen. Unfolding the device to use in tablet mode means if you want to set your device down, you would have to do so onto the front-facing screen. This may be a hang-up for users who don’t want to risk cracking the screen. The device will have to take this into consideration, and take steps to either convince the users that it’s ok to set the phone down on the front screen or train them on how to use it without setting it on its screen. Two concerns arise when considering the use of tablet mode: weight and how rigid it is when it’s unfolded. At least one very common use-case for tablets is holding the tablet with one hand while interacting with it using the other hand. Should the device be too heavy, it would be impractical to use with one hand. This shouldn’t be a significant concern, but it should be considered. Since the device folds and unfolds down the middle, it must be stiff enough when un-folded to support this one-hand hold while the other interacts. It would be easy to think of it like a book, with the individual’s grip centered at the fold to support either side. However, unlike a book, smartphones and tablets require a lot more interaction, which requires a different hand position to fully support the device. A brief consideration of the most irritating parts of using a physical book will almost certainly include the bending of the page around the center fold and how that impacts reading words on the page. In one concept, the foldable device is folded in half with a large curve in the screen. This curve represents a step in the wrong direction when it comes to this technology. What would a person do if such a fold were in a regular book? They would likely attempt to flatten it to get a better view. If this is the design a company opts for, user testing will be absolutely critical to understand how people will interact with the device and its potentially obnoxious screen-curve. As with any new technology, the excitement often outpaces the practicality. Eventually the practicality may catch up and the common market may adopt its use. Alternatively, however, the potential practicality may be outweighed by a significant lack of adoption. Initial excitement drives early development, but if the new tech is not adopted by a large portion of the market, it is unlikely to develop into a mainstream device. The question remains: who is this device designed for? Or, perhaps more a better question is: how can this device be designed for the widest range of users? What will it take to facilitate the widespread adoption that will drive future advances? These are the questions that need to be answered, because as it stands, this could easily become a flop. With price estimates ranging between $1500 and $2500, this is clearly going to be a high-end device, but who will be willing to pay such a premium to support a foldable phone? Will the additional screen space be worth the tradeoffs (particularly the significant cost) for smartphone users? When it comes to cutting-edge technology, it’s easy to get wrapped up in the novelty and forget to cross your t’s and dot your i’s. Foldable phones seem to be the next big thing in mobile technology, but they are also potential UX disasters. When it comes to developing new technology, it is absolutely crucial to perform UX research to uncover design issues and provide insights that will allow developers to create a good user experience from the get-go. The early user experience is crucial. It will impact reception and adoption to a significant degree. Samsung, Huawei, and others looking to jump into this unfolding market must put in the time and effort to do UX research, and the return on investment for doing so will certainly be worth it. Such research could reveal user needs long before it is too late to do anything about it, and it should take place as early as possible in the development process. Cutting edge is great, but understanding user needs is critical to the success of any product, especially when that product is as new and deviant as a foldable smartphone. As one reviewer put it, foldable phones seem like “a solution in search of a problem” (https://www.tomsguide.com/us/samsung-galaxy-x-preview,news-28468.html). Put the users first. Learn what they need, what problems they are facing, and develop the solutions based on those problems. Rushing to invent a solution without understanding user needs is a recipe for disaster.